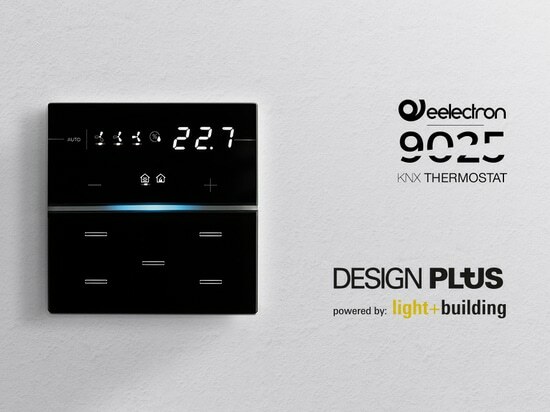 We are pleased to announce that our product 9025 KNX Temperature Controller has been awarded the Design Plus powered by Light + Building 2018 label. 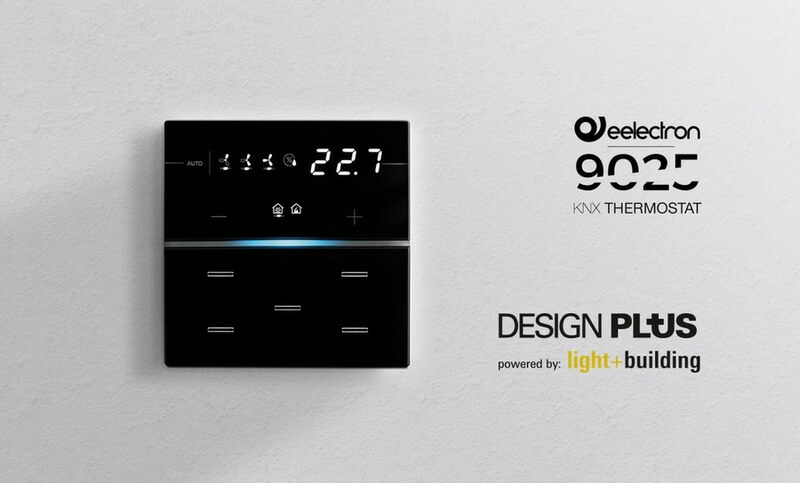 Every year, the competition honours products that combine technology and design and the jury choosed the 9025’s KNX thermostat with special consideration for the concepts of its designs, its extraordinary quality, and its technical innovation, among the 154 participating companies from 26 countries and 222 the competing products. 9025 thermostat is a KNX room temperature controller that includes 7 configurable capacitive buttons for on / off, dimming, rolling shutters and venetian controls, scene recall and control, object sequences, local thermostat controls, etc. It’s equipped with a 2 stage thermostat with integrated PI controller to control heating and cooling equipments, valves, 2 and 4 pipes fan coils etc .. The device has an embedded temperature sensor and a rear 2 poles connector, configurable as digital or analog input; It’s also possible to connect an additional NTC temperature probe (eelectron codes TS01A01ACC or TS01B01ACC – not included) to perform a direct temperature measurement.